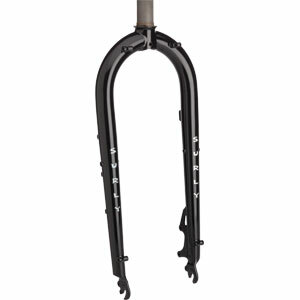 This is our Moonlander Fork. 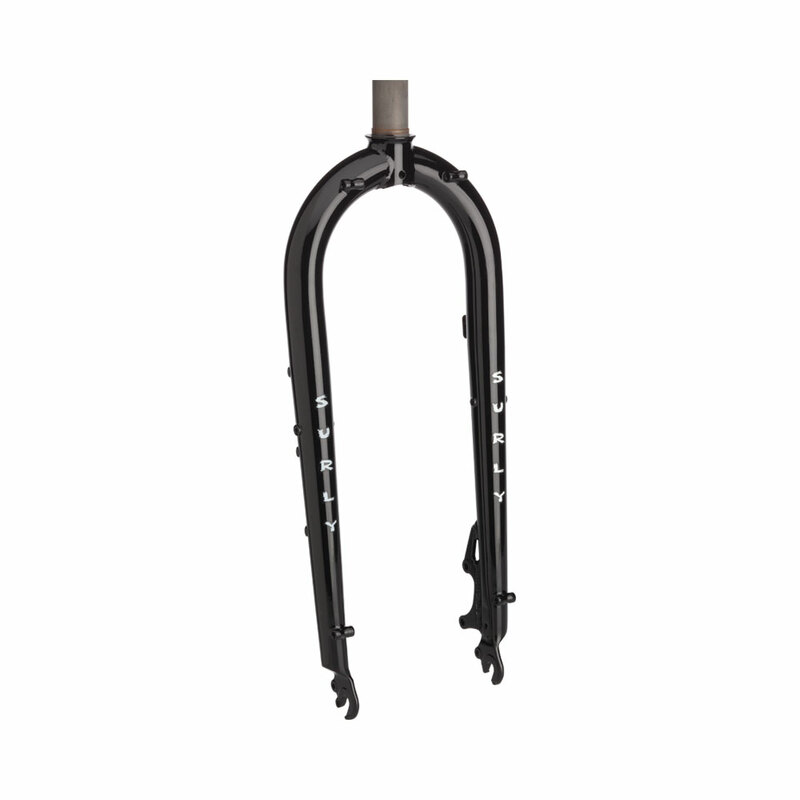 It comfortably fits 5.0˝ tires on 100mm rims and was designed to ride on all sorts of soft, otherwise difficult terrain — like that of the moon. 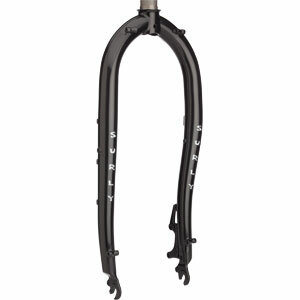 It features threaded fender mounts at the dropouts, brake housing guides and Three-Pack Mounts on each leg. 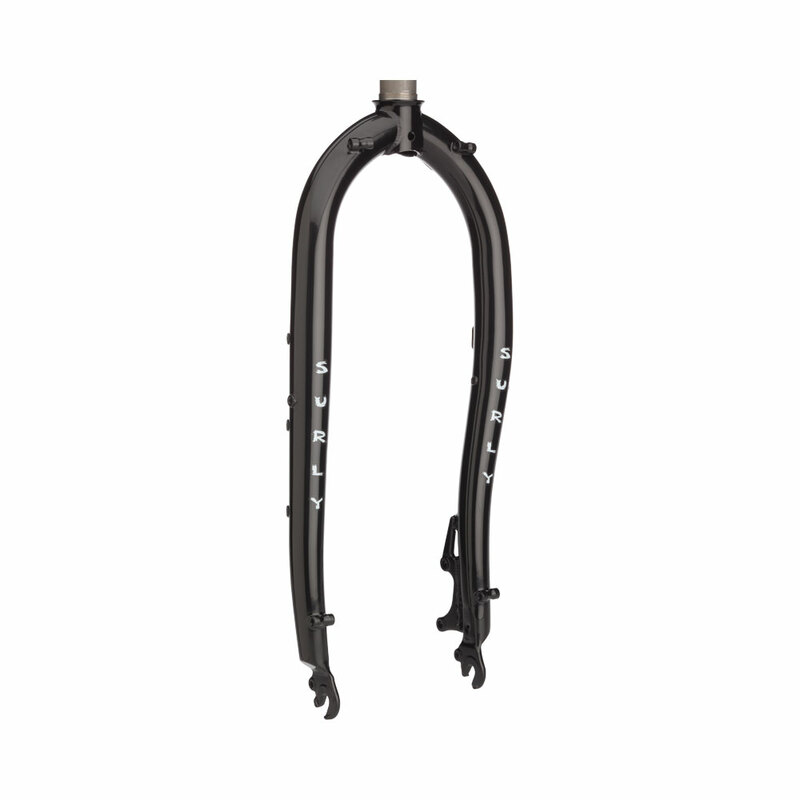 It also has barrel mounts near the crown and dropouts for mounting racks or accessories. We offer it in both centered and offset versions. 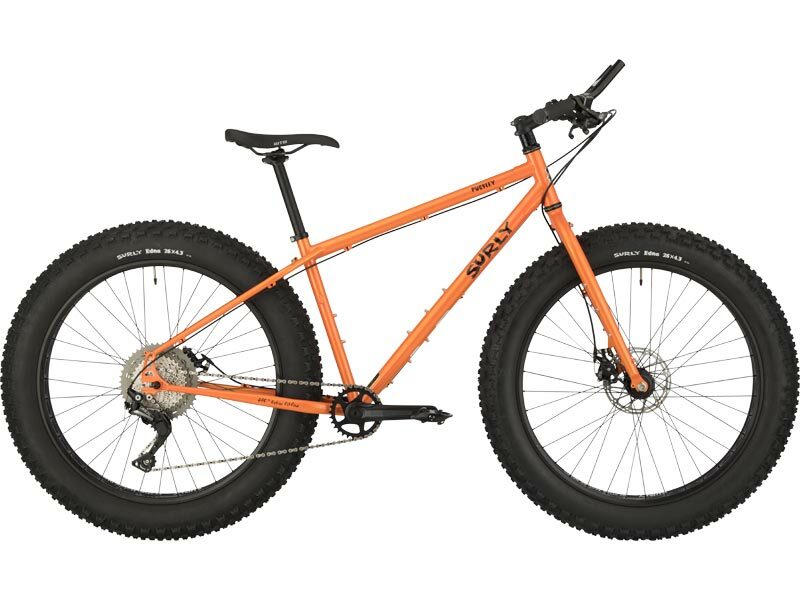 The offset version requires an offset-built wheel, à la the Moonlander and Pugsley frames.